The female rapper claims that she and her husband remain good friends, business partners and co-parents. ENTERTAINMENT NEWS - Once pegged as the next Hip Hop royal couple (after Beyoncé and Jay-Z) Cardi B and The Migos member Offset have broken up. The power couple shocked the world when, in 2017, they announced Cardi’s pregnancy, along with what appeared to be a rushed engagement and wedding just months before the birth of Kulture Kiari Cephus and the release of the hugely successful Migos album, Kulture II. Two-time Grammy-nominated rapper Cardi B (Belcalis Almanzar) took to her social media pages with a video announcement of the divorce. 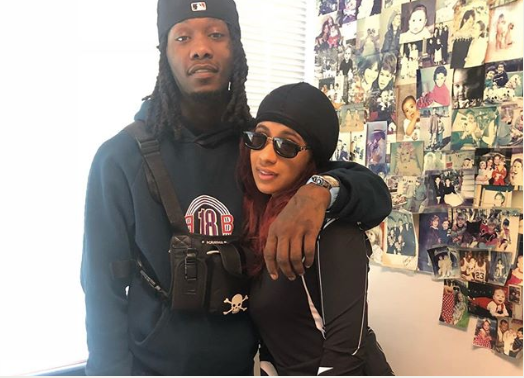 She and Offset, who she referred to as her “baby daddy”, are no longer together. She stated that she had tried to work things out and they remain good friends and business partners, but they seem to have grown out of love. She mentions that it will take time to get a divorce. There has been speculation from her fans about the state of their marriage, as Cardi was seen on New York CCTV footage fighting a female exotic dancer, who was said to be Offset’s side-chick. Fans then retorted and commented that he’d ruined his own marriage. The almost year-long marriage came as a surprise to many fans since the couple had been unashamedly engaging in public displays of affection.